Note: All views are entirely the personal views of the author and this article is shared with the only intention that it inspire true seekers and help those who visit such places. This article, being about Holy Siddhas, i am incompetent to talk about anything from those heights but my sincere attempt here is to share whatever is in my capacity. If any errors or short-comings, they are entirely mine. We now set out from Chennai to Pondicherry, first to Aurobindo Ashram. Our friend, Sivadas bhai, insisted that he would drop us halfway and we were happy with the company. He drove us from Chennai till Mahabalipuram, about 60 kms and from there we three of us bid him goodbye and boarded a bus to Pondicherry. In about 1-1/2 hours we reached Pondicherry, now known as Puducherry. 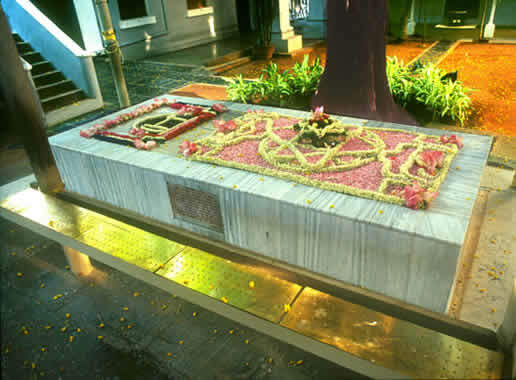 Contacting Aurobindo ashram, we were asked to come early the next day as it Mother's (a saint disciple of Sri Aurobindo) Mahasamadhi day on November 17. It was also known that there were only two days in a year on which Mother's home is opened for visitors and the Mahasamadhi day was one. We then walked up an over bridge for pedestrians to reach the other side of the busy road and booked a lodge, still very close to the bus stand. 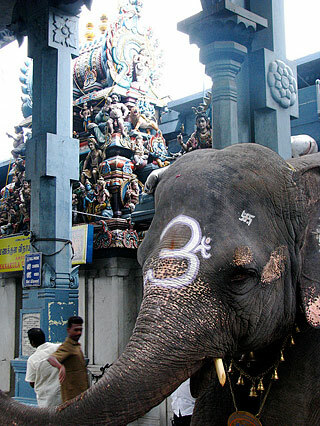 So, the next day we woke up early and took an auto to Aurobindo ashram (Rs.50), which is around 6 km from the bus stand. Reaching there, we noticed there were lot of people. Leaving our footwear outside, we entered into the place and were guided towards the samadhi of both Sri. Aurobindo and Mother at one place. The entire area was very, very peaceful. Silence was requested and there was silence maintained all around. The ashram was founded in November 1926. Sri Aurobindo was a freedom fighter, poet, a mystic, great scholar, and a yogi. He said, "Man is a transitional being. He is not final. The step from man to superman is the next approaching achievement in the earth evolution. It is inevitable because it is at once the intention of the inner spirit and the logic of Nature's process." 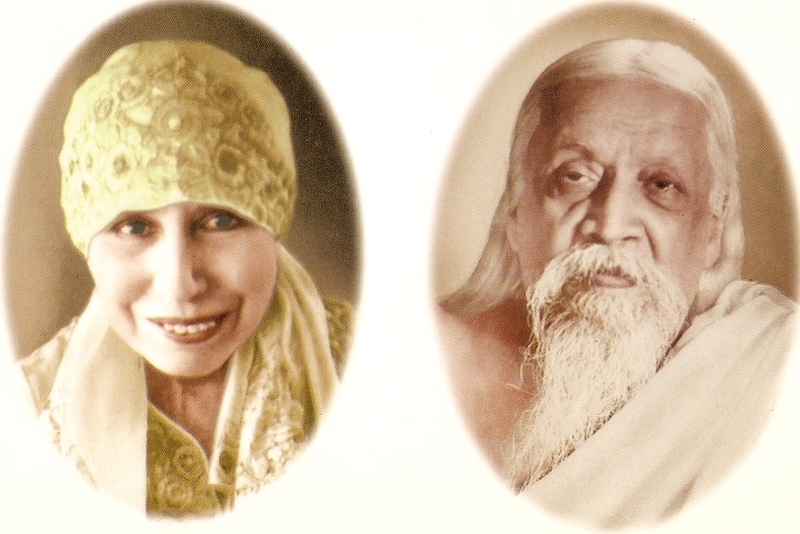 Mother (Mirra Alfassa) was from Paris, who once met Sri Aurobindo and recognized him as the one who was guiding her on her spiritual path. She left her home and came and lived with him and a divine soul that she was, she continued with her spiritual life also looking after the ashram after the Samadhi of Sri Aurobindo 5 December 1950, until her Samadhi on 17 November, 1973. Today, was November 17th and it was wonderful being here today. Outside her room, we were handed a small card on which today's date was printed and printed inside was a small message from Mother. "It is a great mistake to think that physical nearness is the one thing indispensable for the progress. It will do nothing for you if you do not establish the inner contact, for witout that you could remain from morning to night with me and yet you will never truly meet me. It is only by the inner opening and contact that you can realize my presence. ~ The Mother"
Then, we went into the closest room that turned out to be the bookstore of numerous writings of both the great saints. From here we came out and were guided to an open place where there were hundreds of people standing silently in queue, to visit Mother's room. After sometime we walked through the wooden corridors, up a wooden staircase and into the personal room of Mother. It is a divine atmosphere. Silently we walked through her different rooms that contained her personal belongings including lot of crystals. Then, we were guided out through another passage. We must have spent about 15 minutes in this house but it is like walking through a different space itself. Then we came out and spent some more time at the Samadhis. From there we came out into the streets and this looked like a colony in itself. We wanted to have more information about Auroville and a man asked us to go the end of the street near the Vinayak Temple where we would get taxis on a share basis since it was around 14 kms from here. When we reached the temple, we saw that it was very ancient. Somewhere lingered in the mind that there could be Jeeva Samadhi here for by now it was evident that ancient temples were built next to Jeeva Samadhis. We went into this huge busy temple and meditated. Later, when i came back home and was going through the list of Samadhis did i find out this temple location was the Jeeva Samadhi of Sri Tollakadhu Swamigal. What catches the eye while coming to this temple is this sweet elephant standing here for years and blessing everyone who give him prasad or coins, wisely putting prasad into it's mouth and passing the coins to the mahout (covered in video). Then the next place we spent more than an hour was on the next street where there was a wonderful bookstall where all amazing spiritual books are available from children's spiritual story books to vedas to all about Siddhas. Since, it was noon time, the share taxi had closed down till 4 p.m. and calculating the time and distance, and the closing down of the shop just as we reached there, we took it as an indication go return back. As we were about to hunt for a bus back to the bus stand, we saw a share auto coming that was heading that way and we hopped in. He dropped us at the Puducherry bus stand, where our room was. We quickly went to our room and dropped whatever we had bought from there and came out on the street to take a bus to Villianur. There were buses every 2 minutes to that direction. We tried getting into one bus from the rear door and the conductor refused to take us in. It took me a few seconds to realize that here in TN, females are allowed entry from the rear bus door and gents from the front bus door. We got into this jam-packed bus. All that we knew were that we were heading towards Villianur, nothing else. There was a disharmonious chorus in the bus as the crowd talked loudly, while the conductor equally raised his pitch at passengers who were lousy to move even an inch from where they stood. The school lads, drooped and were sleeping against each other as the bus slowly chugged through the narrow roads with loud tamil music playing to add to the glory. Not knowing where to get down, i asked a gentleman if there was any samadhi in this area. None knew, but an elderly person who overheard us said there was only an ancient temple that he knew but not about the samadhi. Not having any option, we asked him to tell when it comes. He was kind enough to tap us on the shoulder when the bus reached the said location. We got down the bus and saw the ancient temple and walked towards it. We met a person sitting there and asked him who said the temple would open in the evening. Then he shared something wonderful. He gave us insights into 6 Jeeva Samadhis in that location, out of which 4 were a little far but two he said were at walkable distance. We walked for about a kilometer and reached a samadhi on the road side of Siddha Ram Pardesi Swamigal. We thought of moving to the other samadhi and coming back. Asking for location, we were guided to another samadhi another kilometer from here. Out of the people we asked 95% people didn't know what we were asking or if they knew, they did not know it was a Jeeva Samadhi. Finally, we found a very small temple-like structure. On approaching it, we were happy to know that this was the Jeeva Samadhi of Siddha Tengai Swamigal. We spent some time there. A gentleman met us there who gave us many insights of this siddha. 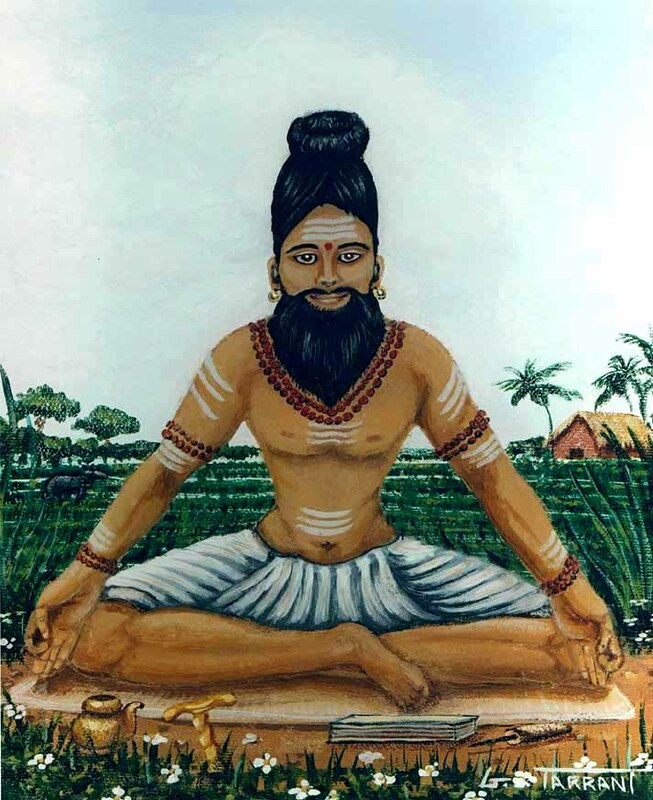 He mentioned that 'Tengai' meant 'coconut' in Tamil and that the Siddha would see the future of others in coconuts that they brought along with them. He also said there was a powerful Jeeva Samadhi of Sha-In-Sha Baba in a dargah in that place. We had to move back since it was getting late. From there we walked back to ancient temple location. This time we saw only temples everywhere, huge ones, and all ancient. 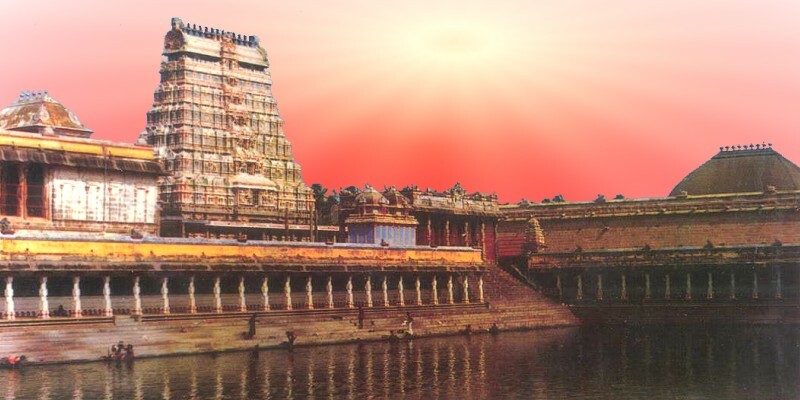 This place seemed to be a paradise once upon a time with so many Jeeva Samadhis and so many divine old temples. i recently learnt that there are 49 Jeeva Samadhis in Pondicherry area alone and i am sure there must be many more unknown to public. We visited two of the huge temples (covered in video) and walked back to the Jeeva Samadhi of Ram Pardesi Swamigal that was closed earlier. This was also a beautiful place of vibes. We sat down and meditated here for a long time. The person who looked after this place told us about the greatness of this Siddha. The great Siddha was known to be an incarnation of Lord Shiva himself. This he demonstrated with the halahal vish episode of Shiva - when he was hungry he would put his tongue out and deadly cobras out of nowhere would leave their deadly venom on his tongue which he consumed as his meal. The kids around were said to enjoy this scene so much that they started calling him visham thinni swami meaning 'poison-eating swami'. He never spoke much, but whenever he spoke, it was only "Ram". Hence, people refer to him as Ram. This great Siddha was in his physical form for a while and helped people get rid of karma and took samadhi. One day, while the workers were digging for road, they accidentally dug his tomb and out walked the great master! He then lived among people for sometime and then again reentered his tomb whereupon this shrine is built. This shrine could have been rebuilt many times all over the years. Above is the photo with a glare that was clicked on the samadhi from outside. It was dark by now. There were two Jeeva Samadhis at a place close to our hotel and we wanted to visit these samadhis, but since it was beyond 8:30 p.m., we decided that we would go there tomorrow early morning before proceeding to Vadalur. A bus came and we hopped in. Peppy loud Tamil music was playing and we reached our back to Puducherry tapping our feet to the peppy rhythm of South Indian music. In few minutes we were back at our hotel. We freshened up and came down for food. After food, it was about 10 p.m., we were still thinking about the Samadhi that was close by. We then decided that we could have our after-dinner stroll towards that direction and atleast check out if they would open early morning. We walked and walked and walked and by now it was certain that it was not "walkable" distance. Now, we had come so far that we it was not worthwhile turning back. We decided to take an auto back after inquiring about the samadhi timings though the streets were now looking empty. This was the samadhi of Saktivel Paramananda Swamigal and his two disciples. It was about 10:30 p.m. and as we approached the Samadhi place, we found that it seemed to be well-maintained and was as huge as a temple and had a compound and gate, and the gate was a little open though all the lights were put off. The priest having his food on a concrete elevation outside and an old man picking up things and coming to close the gate. i asked in Tamil if this was the particular samadhi. The priest enquired what did we want. When we told him he was kind enough to open the gates and allow us to meditate at that hour! Looking around, there were idols of all great Siddhas embedded on the walls. After we got up, the priest took us behind the samadhi and showed the two Jeeva Samadhis of the disciples of SaktiVel Paramananda Swamigal. There are many, many places in TN where the Guru and disciples have together taken Jeeva Samadhi, sometimes along with as many as 63 disciples! Thanking the priest, we came out at it was close to midnight and wondered where we would get an auto since it was a long way back to the hotel. Just then a totally empty bus came and halted right in front of us. Assuming it was going to the bus stand where out hotel was, we hopped in and were happy to know it was going there. There were none in the bus other than us three! We came back to the room and fell fast asleep. Next morning, we woke up early and again came back to the same samadhi we were in last night, this time taking an auto. There was something magical here. The priest did arati, gave us the theertham and also the photographs of the great Siddhas. We then went back to the hotel room and checked out of the hotel and walked straight to the bus stand. We were now heading towards Vadalur, the place of Ramalinga Swami, the Siddha who disappeared transforming his physical body into light. There were no direct buses to this place and we were asked to go to Cuddalore first. We quickly got a bus to that place and only within a gap of having some hot tea, we got another connecting bus to Vadalur. In the bus, we could make out that the place we are heading to was a village as it passed through narrow lanes. i was also recollecting the different type of locations that great saints and Siddhas chose to manifest in physical form for their divine missions, known only to them. On reaching Vadalur, we got down and were helped by a friend - Nelson, who though not being in town had arranged us with a room at Mahatma Gandhi Rural Community College, an NGO he ran. The Shrine is just opposite to this place. We freshened up, had some snacks we had carried with us and the lady there was kind to give us umbrellas since it was drizzling. Only a few minutes walk and we were there at the Sathya Gnana Sabai (Hall of True Wisdom) which was built by Ramalinga Swami in 1870, where he had lit a fire declaring that fire would remain lit forever and the hungry would be fed forever here. It so happens that this temple has no idol or anything except a lamp. We sat down here and meditated. Then, we walked a few meters further from this place, where we saw a small place where idols where kept in several glass boxes depicting the entire life story of Ramalinga Swami. He opposed rituals and superstition and discouraged the caste system. He strongly forbade killing of animals for food. The highest form of worship according to Him was feeding the poor. Then, we walked into a hall where His hand-written manuscripts were kept. Just behind this hall was the kitchen where the fire that was lighted by Him in 1870 for feeding the hungry and as per His words the poor and hungry are fed even to this day on meals cooked on the same fire. After spending some time in these places, we left back to the room. Now, the place where Ramalinga Swami transmuted to light was a bit far away from here. We hired a taxi and the driver was a gentleman who knew these places well and told us that he would also take us to the places where Ramalinga Swamigal was born and the place where he did many miracles. He also added that he would drop us to our next destination - Chidambaram, all for a bargained amount of Rs. 750/- Though it seemed little high, we never minded it as we would be still visiting places of Swamigal that was unplanned. He took us straight to the place in Mettukoppu to the place where Swami Ramalinga went into the room and transmuted himself into light. The place has a big compound with very few people in white clothing who looked to be the followers of Ramalinga Swami. Few sat in meditative silence, while few were reading out the songs of Swamigal. All around in the places of Swamigal one can see nothing but a burning lamp that indicated the presence of Swamigal. We spent some time in here in this beautiful place (covered in video). So, he then took us to Karanguzi, which is the place where Ramalinga Swami manifested water out of nowhere. The place still holds the water full of fishes that is now maintained with a netted compound for protection and a small temple next to it where His arati is done. From here, he took us to the place where Swamigal had burnt lamps out of water. From here, we went to the place where Ramalinga Swami was born at Marudhur. The old hut does not exist anymore and there is a new building come up in its place as memorial, but since the passage of time the level of the construction has risen up than the level during those years and that is why the spot is underground, opened only during major occasions. But, since the driver the taxi was kind enough to talk to the priests whom he seemed to know and kind request, they took us down to this spot (covered in video). After spending some time here, we left towards Chidambaram and we reached there by 8:30 p.m. We found a hotel close to the east entrance of the Chidambaram temple. Freshening up, we went into the Chidabaram temple, which is more than 2500 years old. Through some Siddha literature, it was learnt that this place was known to be the meeting place of Siddhas and they constructed this temple. This temple had many hidden mysteries, which is said cannot be decoded so easily. One among the mysteries is about the idol of the Dancing Nataraja that is worshiped in this form and also the form of the Linga and also is the empty space here, which is worshiped as God in the form of empty space (Chid Akash or spiritual sky) and that is the reason this temple is known to be the Akash tatva. In a magazine of R. Kuppusamy, who is a great scholar of the Siddha tradition, he writes about it all. The worship of the empty space is called "The secret of Chidambaram" because behind the veil of empty space, there is yet another form of God, the true, scientific form: Light of Infinite Grace. That vision alone can make one immortal and transform one's body into 'wisdom-light'. This secret was not revealed but kept as a test for the initiates for about 2000 years. Swami Ramalinga was sent into this world to revela this secret to the masses, one and all, so that everyone could become immortal. Actually, when Swami Ramalinga, as a 5-month-old baby was brought to this temple, the baby giving out peels and peels of laughter on seeing its real mother (God) and tried to jump forward and hug the Lord. One Mr. Appaya Dikshithar who saw this divine act, understood the divinity of the child. 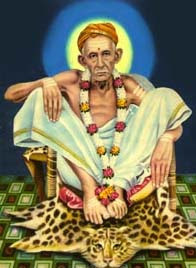 Thus, the secret of the mantra of Ramalinga Swami "Arut Perum Jyoti, Arut Perum Jyoti, Thani Perum Karunai, Arut Perum Jyoti", that is the true form (light) was revealed to Ramalinga Swami at this tender age. It was only now we understood Swami Ramalinga was closely connected to Chidambaram as He even lived here for a long time before going to Vadalur. Also, most importantly, we had come to Chidambaram temple with a link one of the great Siddhas of the 18 foremost Siddhas - Siddha Thirumoolar. 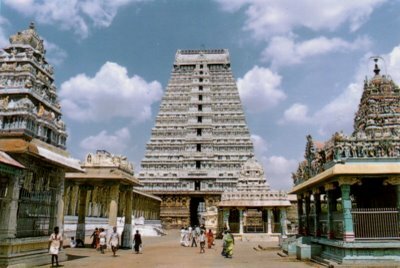 He is said to have become light in this Chidambaram temple, though it is also said that His Jeeva Samadhi was in Thiruvavaduthurai (about 40 kms from here). Siddha Thirumoolar lived for more than 3000 years. Siddha Thirumoolar came from Mount Kailash and was known as Sundarar. 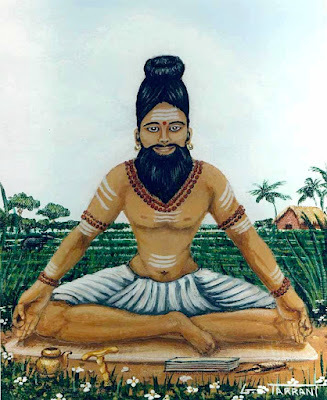 Once he decided to meet a fellow yogi and friend down South, who was Siddha Agasthiya. When he reached a village called Saathanoore, he saw a herd of cows surrounded the dead body of their cowherd named Mulan. This sight touched him and to help these poor creatures, he used his yogic powers and putting himself in a hollow log for his body to be safe from animals and danger, he left his body and entered the body of Mulan. When Mulan came to life, the cows were overjoyed and Mulan led the cows back to their sheds in the village. After he saw that all cows were safe back home, he returned to the place where he had hidden his body. But, he was shocked to find his body had disappeared. It is said that it was Lord Shiva's leela for him to remain down South. Thus, Mulan became known as Thirumoolar (meaning 'holy shepherd') and lived there. He remained in Samadhi for 3000 years, only once in a year coming out of Samadhi and uttering a verse of few lines, that contained all the mysteries and teachings that the great Siddha had contemplated on for the whole year. Thus, there were 3000 verses narrated by Him which is know known as 'Thirumandiram'. Thirumandiram, is known as the spiritual encyclopaedia that contains all knowledge from the Upanishads to the mysteries of yoga and tantra to very strong criticisms of idol worships to condemnation of occult practices to the esoteric significance of rituals and traditions! The next morning, trying to know about Jeeva Samadhis in this location, when we approached a man on the road, he immediately called his friend on his cellphone, who was nearby and he came to us. He revealed to us four Jeeva Samadhis near that place. We noted it down on a piece of paper and thanked him for his timely help. We then proceeded by walk to find the first one on the list and it was quite some distance before we could actually find it out. The search led to a fish market area and place of meat behind which were narrow lanes. We were going to the Jeeva Samadhi of Sri-La-Sri Avadhoot Swamigal but we were asked to ask for Kerala Swami was he is widely known here. On doing so, the people of that area guided us to one small lane. Reaching there, the gates were closed. A man in a hut opposite to the Samadhi temple, told us it is closed and keys are with a priest who does not live there. We stood there pondering. The man looked at us and gave us a number to call. On calling, it was the priest who on telling what we had come for, asked us to stay there itself and that he would send the keys. He sent the keys through a lady who opened it for us and we could spend some time there. In about half hour the priest himself came and told us few things about the Siddha. (covered in video). The kind man in the hut also sent his nephew and two other kids to help us reach another location which was also a little bit of walk across the main highway. The kids came with us for a long distance and pointing out from far the location, returned back. This place was isolated and only a few houses could be seen in the distance. A man was spotted who was slowly peddling his bicycle towards our direction. On asking him the location, he said smilingly that the keys of the temple related to the Swami was at his house and asked us to collect from his house. His name was Guru. We thanked him and on reaching his house and telling about her husband meeting us on the way, she gave us the key to the temple. The temple had a huge compound and looked very, very ancient. We opened the gates and also the doors of the locked temple to see a huge Shiva Linga. i am not sure if the Siddha had spent time in here but His samadhi was close to this temple. We spent some time in here. Then, the lady told us the name of the person and house in whose house the keys of the Samadhi was, but that person was not home but we were told that it was a small Samadhi. On approaching the Samadhi, it indeed was a small one and the gates were just to the small enclosure of the Samadhi. It was the Jeeva Samadhi of Siddha Theringana Sambandhar. We had enough ground space to meditate as this small Samadhi was in an open space. It was close to 4 p.m. by the time we finished and we had not had our lunch yet. We got an auto to the bus stand and enquired for late night bus back to Chennai the same night and we got our tickets booked for a 12 a.m. midnight bus. Then we walked back to our hotel rooms. Two more Samadhi's were yet to be completed in this area. Taking an auto, reached Vellakollam. On telling the auto driver about the samadhi here and the next one that was about 7 kms far, the auto person was kind enough to reveal that in that other area buses are very rare and at this time it was difficult to get even an auto. So, fixing up the charges with him, he agreed to come and help out. 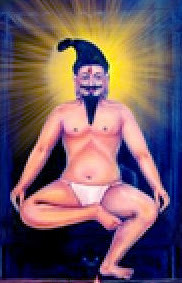 Moreover, he knew where the current Samadhi was and he reached there. This was the Samadhi of Siddha Umapathi Shiva Swamigal. There is a lady who takes care of this Samadhi and she allowed to sit near the Samadhi. After spending about half hour here, we set out to reach a place called Shivapuri. This area was completely isolated with few houses here and there. Moreover, it was close to 9 p.m. It was late to be visiting a Samadhi but still we proceeded. The auto person was of great help as he himself enquired about the Samadhi and finally reached there. This was the Jeeva Samadhi of Siddha Shiva Swamigal. We were told that the compound gate is locked and we had to take the keys from a house nearby. When i approached her she denied stating it was late. Then on further inquiry from her on from where we were from and how we had located this place, she on second thoughts brought us the key. Very happily, opened the gate and the auto person seemed to be very happy. He said he had heard about this great Siddha in Chidambaram but never knew His samadhi was at such remote location. He was happy to have come there. i asked him to sit together for meditation, which he happily did. A large globule or orb was captured on the cam, which can be seen on the above pic. After some time we left this place. After this we had dinner and i ran into the Chidambaram temple at 10 p.m. as it would close by then to have a final visit before we left. By then the huge temple was closing and people were moving out. Then, returning to the room, we packed and rested in the room for sometime and checked out by midnight and reached the private bus pickup point. The night was cozy in our sleeper beds and we woke up at 5:30 a.m. in Chennai. After freshening up, we finished off the two pending Jeeva Samadhis in Chennai one of which was close to the shivir location. We tried locating the samadhi at a temple that was in the vicinity of a huge pool in Nugabakkam. There was a huge Shiva temple and on asking the priest there he told us that the Samadhi was at a little further distance and we may not be allowed there as renovation was going on. We walked to that location and the whole place was was filled with cement, mud, bricks, planks and paint boxes. No one objected and so we entered and made a little space to sit in the debris. This was the Jeeva Samadhi of Siddha Veerama Munivar. The energy of the place radiated amidst the debris of dust and material. The last samadhi took us some time to detect. Everyone we asked never knew about it but they kept pointing us to the same road, and we had passed the main road near Valluvar Kottam. Lastly, we came to know that the Jeeva Samadhi was the same small structure we were thinking to be a deserted temple! The gates to it were locked and since it was on the roadside, we could not sit anywhere, so we stood there for a while and meditated. We were told that this opens only once in a year. Spending a few minutes there, we returned back to our rooms, packed our bags and left for the railway station. The train left at 3 p.m. and we reached Hubli (Karnataka) the next early morning. This was the last day of the 15-day trip from Siddhar Betta, to Babaji's blissful shivir to the visits to Jeeva Samadhi's in Tamilnadu. We went straight to the Mahasamadhi of Siddharuda Swami (First Guru of Baba Muktanand of Ganeshpuri and also the Guru of Kalavati Aai, whose samadhi is in Belgaum. Also, next to this great samadhi was the Samadhi of His disciple Gurunatharuda Swami. Siddharudha Swami from childhood itself had shown inclination towards spiritual science and performed many miracles even before he was initiated. Once when he was a small child a buffalo had not moved and he cursed it to die and it really fell dead. His mother plead to him and he brought it back to life. 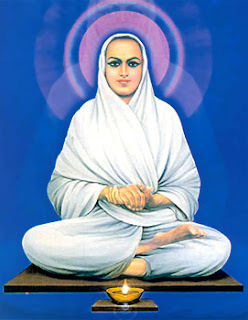 He spread the teachings of Advaita and performed numerous miracles during his life time given the title Advaita Chakravarti, the Emperor of the Advaita Saints. Spending some time here, we then dispersed from here back to our homes. Gratitude to all Holy Siddhas for the opportunity given to be presented here.